quickly and cost effectively for our customers. As Montreal’s Xamarin Premier Consulting Partner, Apcurium provides consulting, architecture, development, UX & UI design, testing, support and training services to build mobile apps using Xamarin tools in both English and French. Xamarin is a solid development platform that allows us to create native iOS, Android, Mac and Windows mobile apps in C#. Apps not only look the way the end user expects, they behave that way too. Xamarin apps leverage platform-specific hardware acceleration, and are compiled for native performance. This can’t be achieved with solutions that interpret code at runtime. 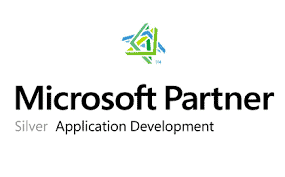 As a Microsoft Silver Certified Partner with Application Development competency, Apcurium demonstrates its expertise with Microsoft technologies and the ability to use them effectively in development and deployment of mobile applications, rich user interfaces and more – all to the benefit of our clients. Since 1996, Technologia has been recognized as the Québec leading training centre for professionals specialized in the areas of information technology, project management, human capital and communication. As a Technologia partner, we offer popular courses helping .NET programmers transform themselves into mobile developers. Our Certified Instructors teach cross-platform mobile development using Xamarin, a leading platform to develop apps in native iOS, Android, Mac and Windows apps in C#.